You use research as the key to the design process, using Amsterdam’s streets and people as the starting point. You then go on to develop your ideas into designs and explore a range of different illustration techniques to present them to finished portfolio standard. You are expected to push your ideas, to expand and explore what is possible through the design process. 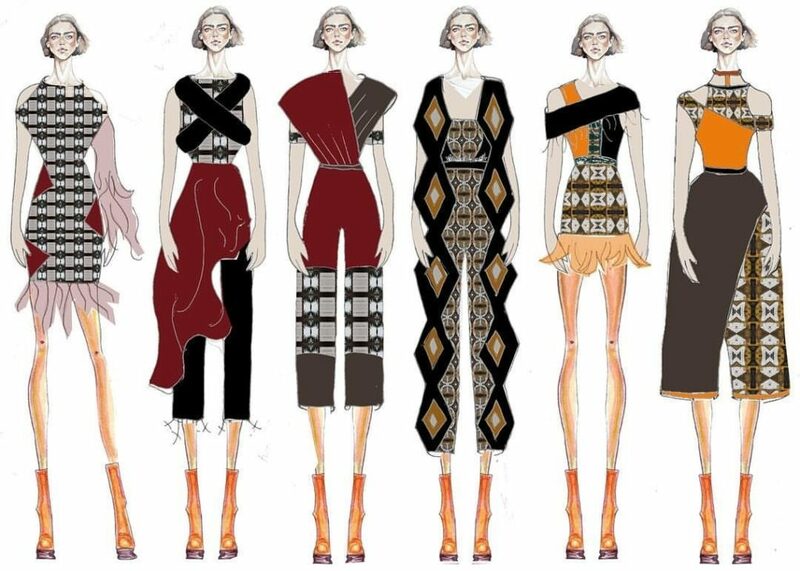 This summer course fashion design is uniquely tailored for those with an interest in fashion design and visualization techniques. Within this summer course you will have the opportunity to study the design cycle, customer profiling and range development across a variety of market levels. The summer course teaches you to use fashion presentation techniques skills to communicate ideas in a highly creative and relevant way. We will start this summer course with an introduction to fashion, exploring the elements that make up the fashion cycle and analysing fashion theories including the trickle down, trickle up and trickle across effects. You will then progress onto formulating a collection plan with mood board, trend board and design developments (both hand rendered and digital) The final part of the course will involve producing technical spec drawings, collection line up boards and a full presentation of your portfolio in a group critique. This summer course is open to all students at any age, with varying levels of experience, including beginners. It is an intensive one-week programme for who are looking to broaden their understanding of fashion. There are no formal entry requirements and no age limits.